Jess Varnish’s comeback from a back injury continued last night as she took a dominant victory in the 500m time trial on day one of the National Track Championships in Manchester. Varnish (V-Sprint) clocked a time of 34.445, to beat Victoria Williamson (VC Norwich) by nearly half a second. Double world junior champion Danielle Khan (Solihull CC) completed the podium in 35.345. “It’s not a personal best but it’s the best I could have done today, I’m just happy to take the win,” Varnish told British Cycling. 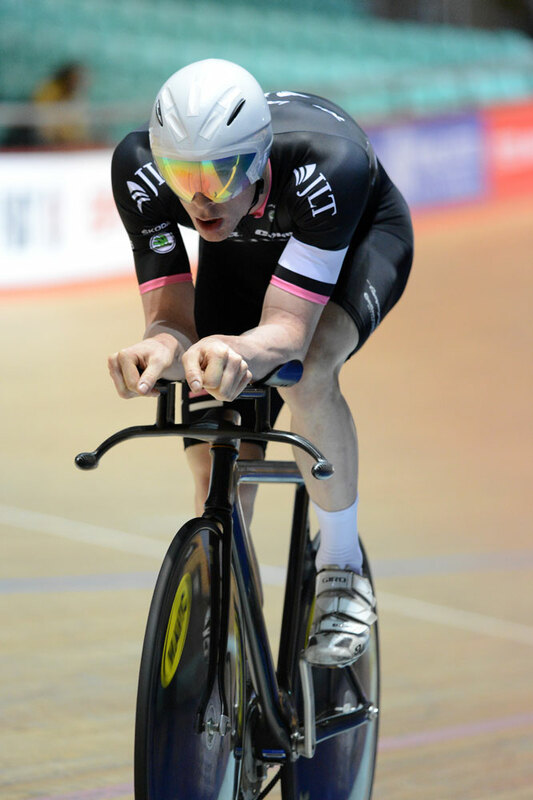 Ed Clancy took his first national title on the track in four years, as he won a thrilling individual pursuit final against his London 2012 team-mate Steven Burke. The Rapha Condor JLT rider, who had narrowly qualified behind Burke (Node4-Giordana) earlier on in the day, started quickly in the final. However Burke clawed back the deficit, and took the lead at three-quarters distance before Clancy rode a fast kilometre to win in a time of 4-26.015, compared to Burke’s 4-27.408. British Cycling Olympic Academy rider Joe Kelly (100% ME) caught Silas Goldsworthy (Sandy Wallace Cycles) to finish third. “With four laps to go in the final I just gritted my teeth and dug in as much as I could. 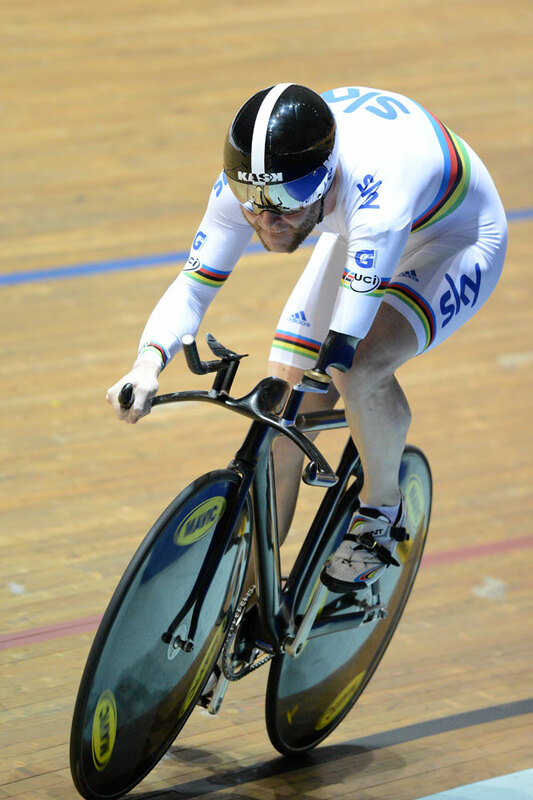 It was hard, I just went flat out,” said Clancy. Triple Paralympic silver medallist Jon-Allan Butterworth (Performance Cycle Coaching) set a new world record of 1-05.725 to take victory in the C1-5 mixed 500/1000m time trial. Another medallist from London 2012, Shaun McKeown (GS Avanti) took second, with Scott Contessa Epic rider Crystal Lane third. 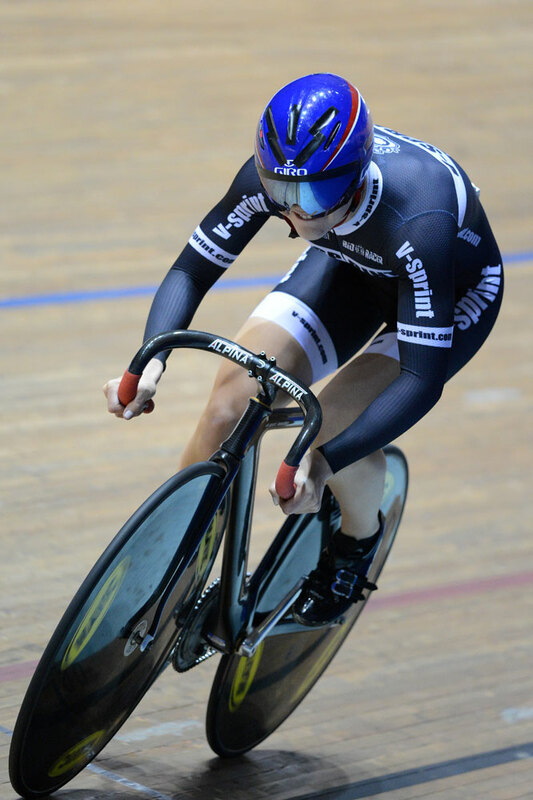 Sophie Thornhill (Sportcity Velo) and pilot Helen Scott (Performance Cycle Coaching) won in the B/Vi mixed 1000m contest with a time of 1.09.714. Paralympic champion Neil Fachie (Ythan CC) and Peter Mitchell (Performance Cycle Coaching) took second, with Aileen McGlynn (BC U M) and Lauryn Therin (Champion System) finishing third.